I pretty much wanted to tackle something that wasn’t chocolate this time around in baking. So I went to chocolates opposite…. Vanilla. Oh so sweet, oh so simple. I actually wanted to play with a vanilla bean, rather than just the extract. Oh my … what a wonderful little spice. I have to be honest, I’ve never used an actually vanilla bean before, but if the Food Network has taught me anything it’s rather simple to work with. Simply split the pod open and scrape out the little seeds within that are essentially where all that vanilla flavour and goodness is hidden. 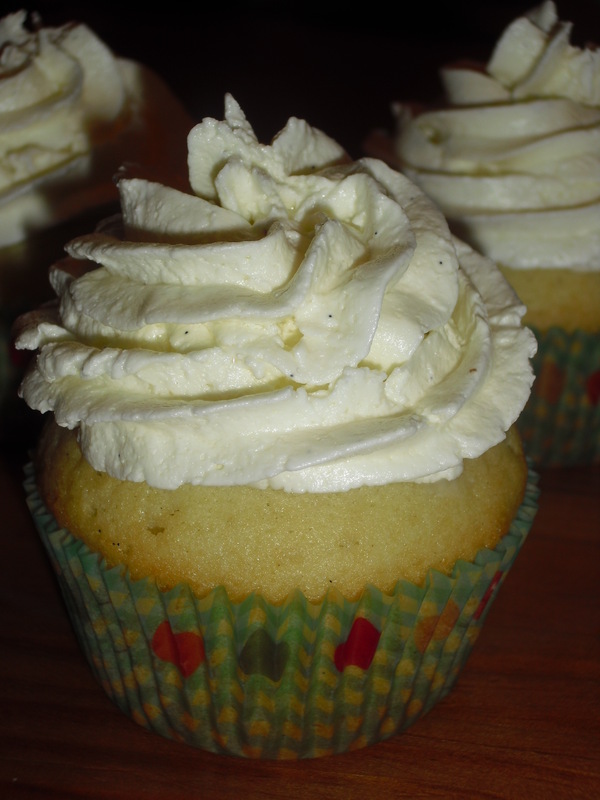 I wanted to use vanilla bean for that subtle, natural flavour and because I like the tiny black flecks that spot the cupcake and frosting. Hehe. Scanning the internet for its wide variety of choices on my desired cupcake, I came across My Kitchen Addiction. I really think it was the pictures of vanilla bean cupcakes that were posted that initially drew me in. They looked delicious!! And the recipe looked simple enough. Even the frosting was incredibly tempting. 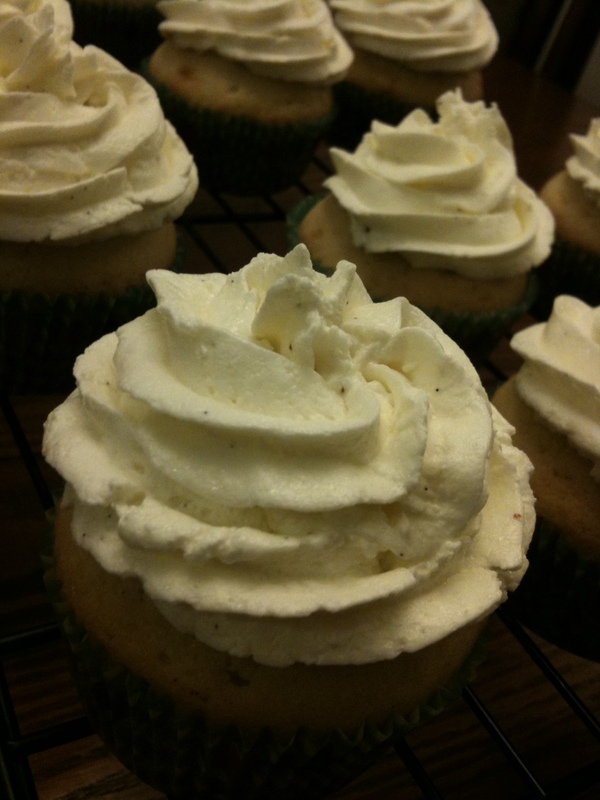 Swiss meringue buttercream. Divine decadence! So I figured I’d give it a try…. 20 minutes later my kitchen (actually my entire house) is soon enveloped in the familiar sweet vanilla smells of a seasoned bakers kitchen. As much as I like the cupcake, I think the next time around I would like to find an airy angel food cake type of cupcake, as I found this poundcake-cupcake heavy. Don’t get me wrong, it was still good, but with such a light frosting I’d like to have a “light” cupcake. Speaking of the frosting, I did Love, Love, LOVE the Swiss meringue buttercream and will definitely be adding that into my collection of favourite recipes. Bliss…. Preheat the oven to 350°F. Line two muffin pans with paper cupcake cups and set aside. In the bowl of a stand mixer, combine the butter and sugar. Beat on medium speed until the mixture is creamed and looks light and fluffy. Gradually add the eggs, one at a time, beating after each addition until each egg is incorporated. Add the vanilla bean paste and beat to incorporate. In a separate bowl, combine the flour, baking soda, and salt. In another small bowl, whisk together the milk and sour cream. Gradually add the dry ingredients alternately with the wet ingredients, beating on a low-speed. Be sure to start and end with the dry ingredients. Once the last of the dry ingredients have been added, beat on medium speed for about 30 seconds, until the batter is smooth. 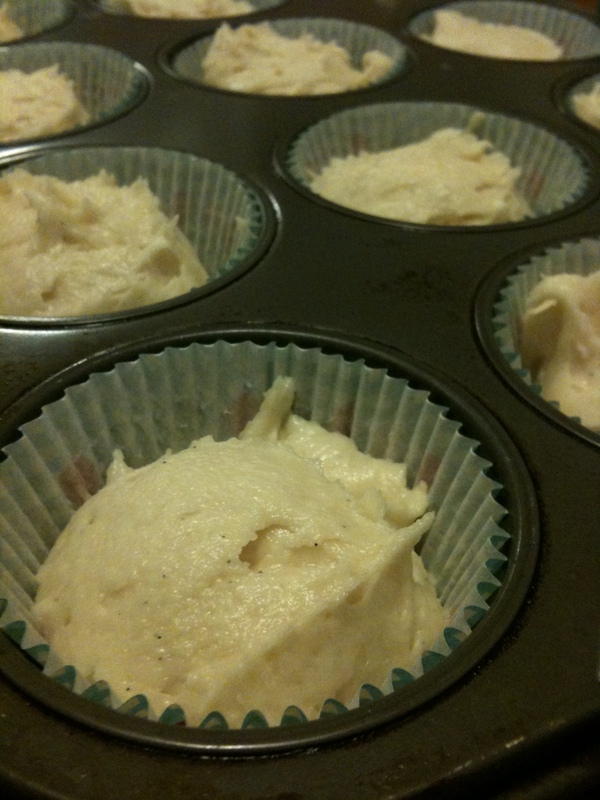 Spoon the batter into the prepared cupcake cups, filling each cup approximately 2/3 full. Bake for about 20 minutes, until the tops spring back when touched lightly with your finger. Cool in the pans for a few minutes, then transfer to wire racks to cool completely. Prepare the Swiss meringue buttercream according to the recipe over at Smitten Kitchen. 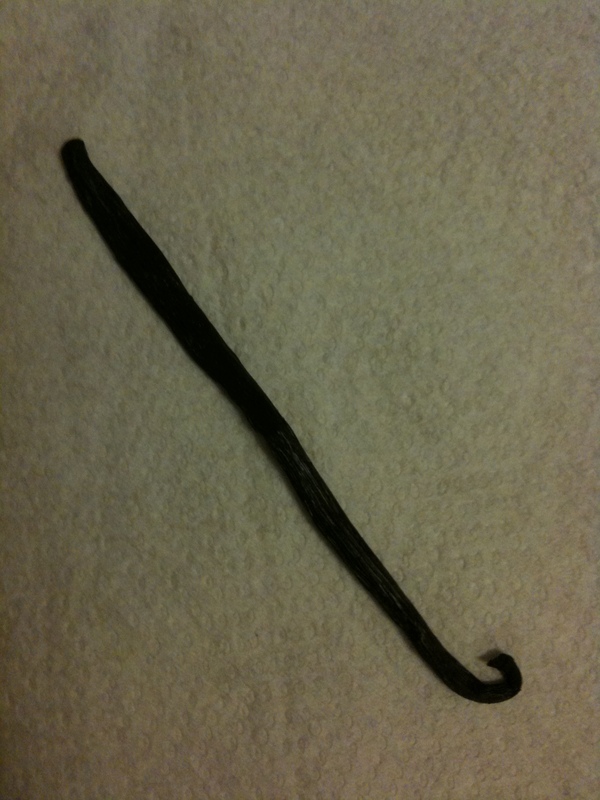 I subbed in 1 vanilla bean pod for the 1 teaspoon of vanilla extract. Once the cupcakes have cooled completely, pipe swirls of the buttercream onto the top of each cupcake, and completely enjoy!